Java is a compiled programming language designed to build secure, powerful applications that run across multiple operating systems, including Windows, Linux and MacOS. 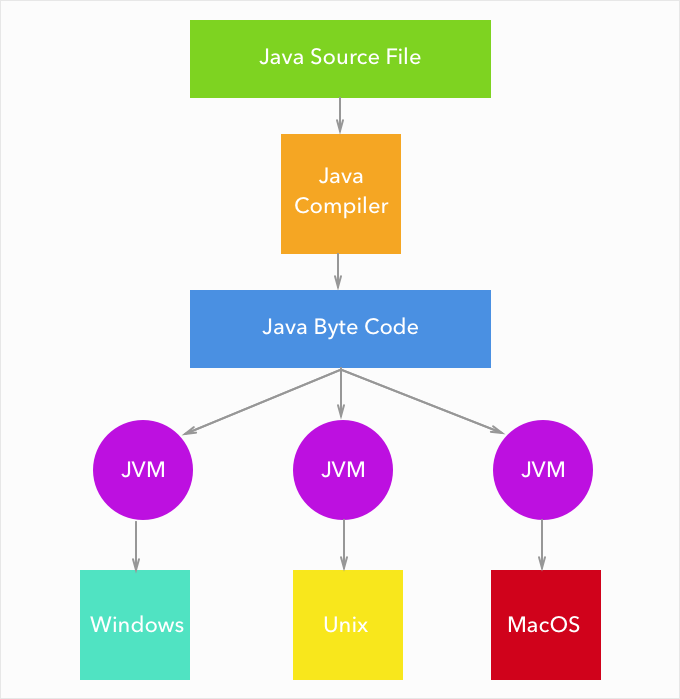 Java is a compiled programming language, but rather than compile to executable machine code, it compiles to an intermediate binary called the JVM(Java Virtual Machine) byte code. The byte code is then interpreted to run the program. 1. All source code is written in plain text files ending with the .java extension. 2. The source files are then compiled into Java byte code by the javac compiler. Byte code files end in .class file extension. 3. The java tool, part of the JVM runs your application for a specific operating system, e.g. Windows or MacOS.